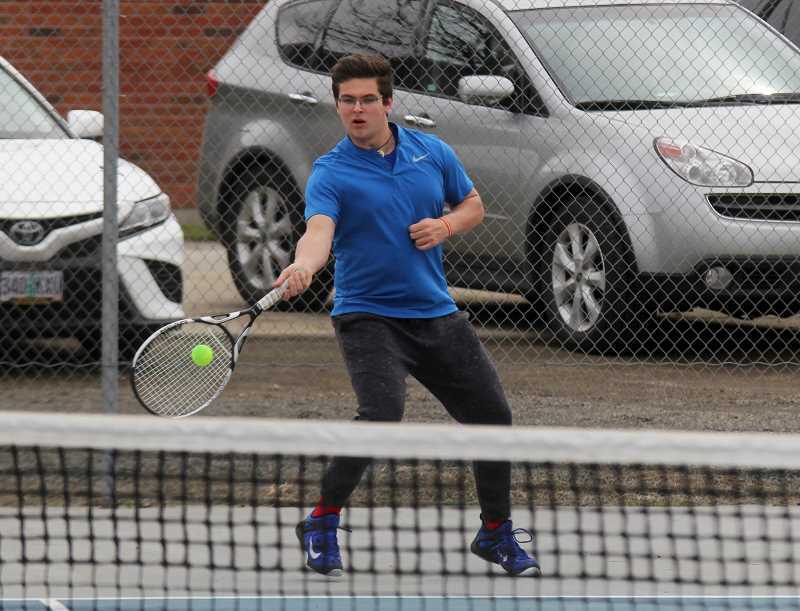 The Madras boys tennis program hosted the White Buffalo Invitational round robin tournament Saturday, April 6, with seven schools competing. The No. 1 Madras doubles team of Esteban Gomez and Kobey Jorgensen took first place for the White Buffalos. The seven-game tournament format was determined by the total number of games won. Gomez and Jorgensen won 30 games in the tournament, tying the Vale doubles team of Ricky Levya and Payton Kelso. The tie-breaker came down to who won between the two teams, which was Gomez and Jorgensen. Sisters (102), Vale (90), Crook County (88), Madras (87), Cascade (82), Henley (79), and Estacada (62) all participated in the tournament hosted by Madras, with Sisters, Vale and Crook County taking the top three spots. In the No. 2 singles bracket, Madras' Roberto Garcia was able to place third, scoring 25 points. He was edged out by Keaton Green (31), of Sisters, and Moses Freauff (27), of Crook County. The No. 2 doubles team of Sebastian Norato and Luis Mancera ended the day in fourth-place for the White Buffalos with 22 points. Eli Gurney and Brogan Petterson (31), of Sisters took first, while Ty Cross and Nick Cushman (24), of Crook County, beat out Jon Juker and Raymond Garcia (24), of Estacada for second-place. No. 1 Madras singles athlete Tony Giron (10), ended the day placing sixth for the Buffs. Brian Baker (33), of Henley claimed gold, while Pablo Casado (32), of Crook County, took silver. 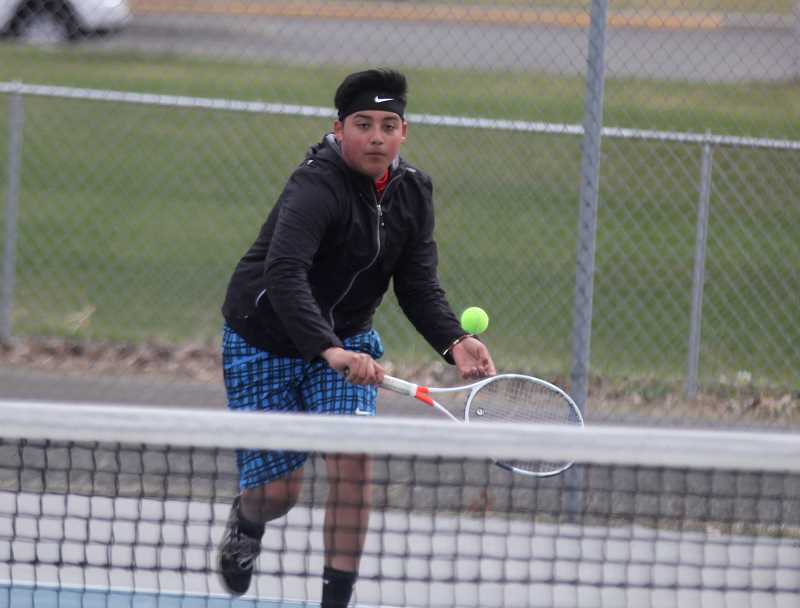 The boys tennis team has another home competition against Estacada at 4 p.m. Thursday, April 11. They also travel to Cascade Tuesday, April 16.